We propose a novel method for the localization and navigation of multiple mobile robots. 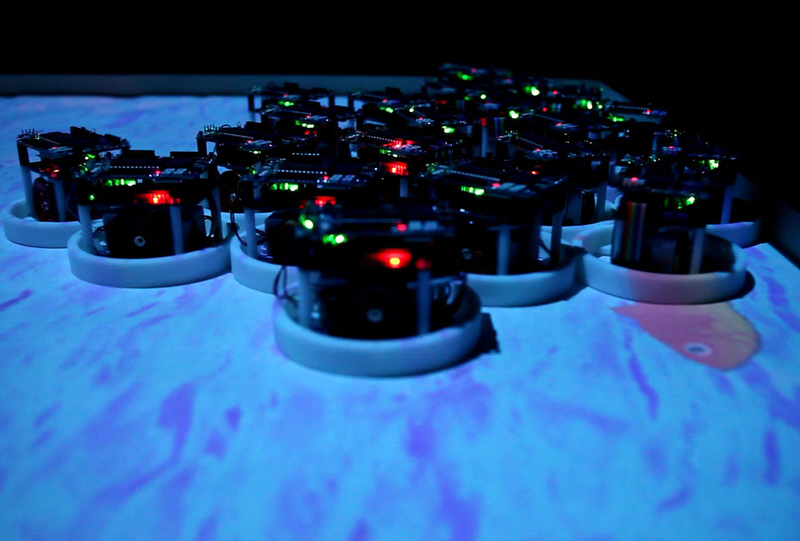 Our method uses coded light superimposed onto a visual image and projected onto the robots. Robots localize their position by receiving and decoding the projected light, and can follow a target using the coded velocity vector field. Localization and navigation information can be independently conveyed in each pixel, and we can change this information over time. Thus, the system does not require measurement devices such as cameras, nor does it incur a high communication load, because we implement the localization and navigation of the robots through projection. Further, the spatial deviation between the images and robots does not occur in principle.